USDCHF went back to the levels before the shocking decision of SCB last year but it started falling again and is fluctuating in lower ranges. 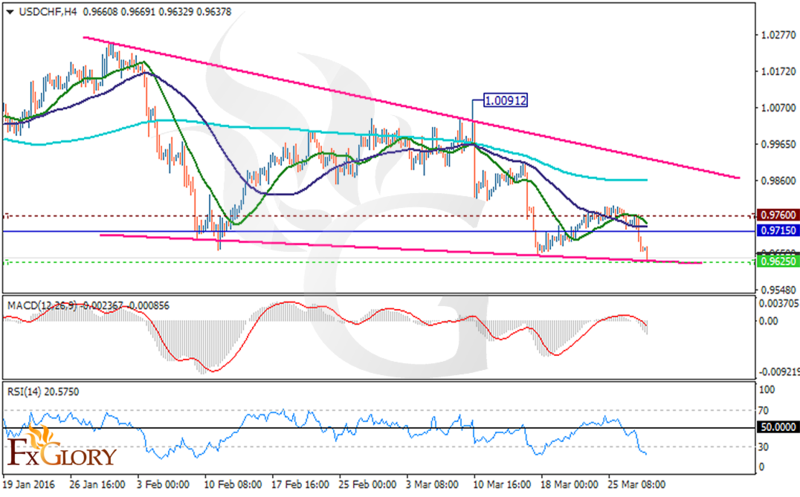 At the moment, the support is at 0.9625 and resistance at 0.9760. The price is going below the pivot point at 0.9715. The price is below the MA of 200 and it may break the 0.960 level. Moreover both MA 20 and MA 50 are showing a bearish pattern. The RSI is locating below 50 level and the MACD indicator is in negative territory showing a price decline. From the upside aspect, the resistance level breakout would complete the decline from 1.009 otherwise the price will continue its drop.